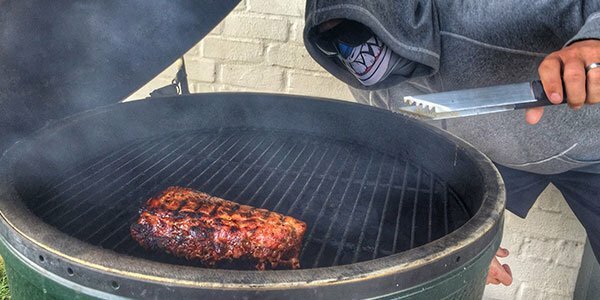 What does the UV Index mean anyway, and why is it so important to people in general? Most people know about sun protection through SPF sunscreens and UPF clothing products that are UV rated, and they realize that they should use both, but do they actually understand the medical concerns that go along with exposure to the sun? It is important for anyone to familiarize themselves with the UV Index and the right kind of products in order to gain protection from exposure to the harmful rays of the sun. Ultraviolet (UV) is invisible solar radiation. It is a band of light with a certain frequency that goes beyond the violet end of the spectrum, which can be harmful to the skin and other areas of the body. Ultraviolet radiation from the sun is harmful as it is the chief cause of skin cancer, plus it leads to premature aging, tanning damage, eye problems, sunburn, photo sensitivity and other skin related problems and health issues. The one advantage to sun exposure (in a limited manner) is that it does provide a source of Vitamin D.
The UV Index linear scale that is used in America follows international guidelines for UVI reporting, which was established by the World Health Organization (WHO). It is important to know the scale and understand what it means in relation to avoiding exposure to ultraviolet radiation. Protective clothing is one of best ways to deter skin damage from ultraviolet rays of the sun. A UPF factor determines just how effective a clothing item can be in protecting individuals from the ravages of the sun’s rays, and a Hoo-rag bandana just may be the answer to an easy and fast way to sun protection. A Hoo-rag is an innovative bandana type headgear piece that can be worn in a number of different ways. Its fabric content is 100% polyester microfiber that is made to pull moisture away from the head and other areas, such as the neck and face. It provides quick evaporation, plus it is rated at 30 UPF, and it can be maneuvered and shaped in countless ways to provide protection and relief from heat. This all-around bandana is one multifaceted piece of fabric. The UPF factor stands for “Ultraviolet Protection Factor,” and is a standard rating system that measures the effectiveness of the blocking of the sun’s rays in clothing and other types of specifically made UPF or UV gear. The items are designed to screen out both UVA and UVB rays. Sun protection is important, and the UV Index is one of the best indicators as to what the intensity and effect of the sun’s rays are going to be on any given day. It enables individuals that are planning on spending time outdoors to be prepared with adequate UPF protection through the right UV rated clothing items they choose to wear, and with what a Hoo-rag offers, there is no limit to your fun in the sun. 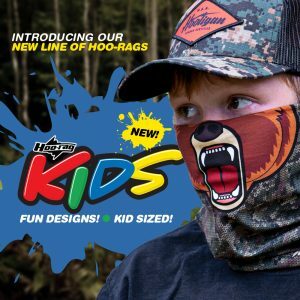 Here at Hoo-rag, we have an extensive line of tubular bandanas that our customers love to wear when they are out in the wild enjoying life and the outdoors. But what about those outdoors folk that want to take man’s best friend with them on their trips as well? Dogs, especially large and medium-sized canine breeds, can look great in one of our cool-looking tubular bandanas. Since our dogs love to spend time with us hunting, fishing, exploring the wilderness, and running down the trail, it’s a cool idea to accessorize with your pooch; in fact, you both can even wear one of the same bandanas from our product catalog. Having your buddy wear a bandana can also have other uses as well. Some pet owners will spray their dog’s bandana with calming pheromones so that they don’t get overexcited during a hike or a jog. This type of treatment will ensure that your pet remains calm in stressful situations. Additionally, some owners also like to color code their dog bandanas; you can place one of these on your canine buddy that lets others know if your pet is friendly or is a bit new to other humans. In any case, at Hoo-rag, we have a ton of awesome bandanas for your furry friend to wear. Let’s take a look at some of the options that we have so that you know what your options are when you’re out there in the wild world with your best buddy. We love to fish. When you’re out on the lake with your canine companion, you and your pet can wear one of these photo-based tubular bandanas. They are based on the shimmering scale patterns of two of the most plentiful fish in the United States. Additionally, we’ve made these bandanas to have up to a 30 UPF sun protection rating that works well for both you and your four-legged friend. When you’re between fishing trips, the scale patterned bandanas can be machine washed on cold and dried on the line so that they are fresh when you take to the lake on your next trip. When you’re out for a run with your pooch, you can always try to wear one of our more stylish designs so that you can look pretty cool while you get your daily mile in. Our Super Glitch bandana has a 30 UPF sun protection rating and has a design that’ll remind anyone of the outrageous styles of the 80s. There are some angular designs that have some great colors that’ll look great on most breeds. It’s even made of polyester so that it’ll provide some great warmth when the weather starts to dip a bit. Hiking can be pretty strenuous. Sometimes, there are steep gradients, rocky terrain, and points of almost complete solitude. 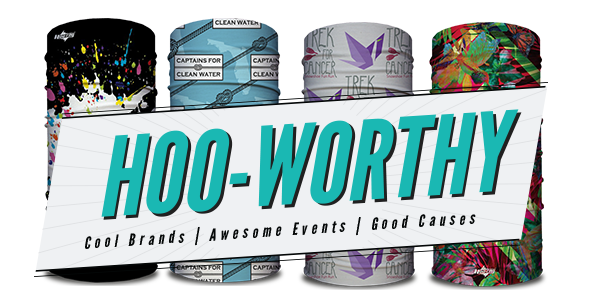 When you’re sharing your hikes with your pup, try out one of our favorite bandanas; the United of Awesome. This Hoo-rag features our favorite colors: the American flag’s red, white, and blue; so while you’re out there on a hike, you can show your patriotism. As hunters, we have to be visible, which is why we wear clothing and accessories that comply with the modern firearm hunting season requirements. This means that we have to wear gear that is visible to other hunters so that accidents don’t happen. The same protection should be applied to our dogs, which is why the Kryptek Inferno is a great solution for your canine pal. It is a bright orange that is very visible. This is really important because other hunters can mistake your dog’s coat for that of any of the game animals in the area, so having a bright patch of color can save your pet from an accident. Sometimes, when you’re hunting with a bow, you need a little more camouflage because of the fact that lower ranges are required in order to close with the game that you’re after. This is why people that hunt with bows often will select gear that blends in the best with the surrounding environment. If you’re out there in the wilds with your furry buddy, then one of our bandanas like the Mossy Oak Bottomland is a great option. It has natural earth tones that both you and your canine can use to get close to the 12 point buck that you want to bag. 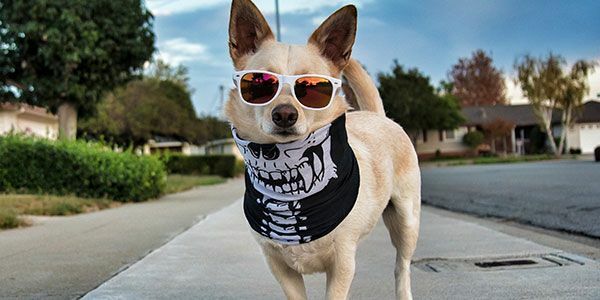 Dogs provide some of the best companionship available and adding one of these bandanas can actually foster a higher level of closeness with your four-legged buddy. When it’s time to go for that hike, hunting or fishing trip, or when it’s just time to go for a run with your favorite canine, consider tying a cool-looking Hoo-rag bandana around them. Both of you will love it.